Placido Domingo has been forced to cancel his conducting engagements at New York’s Metropolitan Opera as he will undergo surgery to have his gallbladder removed. 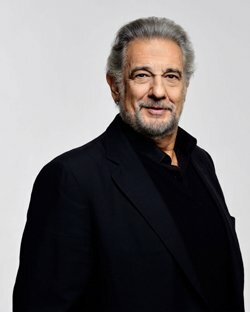 Placido Domingo, 74, had been due to conduct four performances of Tosca in October, but will now return on November 2. Other conductors have been drafted in to fill in for the tenor. Placido Domingo was admitted to hospital on October 13 after suffering inflammation of his gallbladder and will have an operation early next week. The Spanish tenor has had a number of health problems in recent years. In 2010, he underwent an operation to remove a cancerous polyp from his colon, returning to performing just weeks after the surgery. In 2013, Placido Domingo was treated for a blood clot in his lung, forcing him to miss several concerts. Placido Domingo’s next singing engagement is in December, when he will perform in Verdi’s Macbeth at the Palau de les Arts in Valencia.